When a close friend of the Drew family is accused of murder in a rural community, Nancy, aided by boyfriend Ted, helps her lawyer father expose the real killers. The entire Drew household heads up to Sylvan Lake for a vacation. In reality, Carson Drew is going there to defend his old friend, Matt Brandon, who is accused of murdering his neighbor, Henry Clark, with who Matt had had a long standing land border feud. Matt was overheard threatening Henry just before he went missing. However, Henry's body has not yet been found. When the Drews arrive at Sylvan Lake, Carson does attend to Matt's needs but there are two other preoccupations for the Drew family. First, Ted Nickerson is also vacationing at the lake. And second, Carson meets Edna Gregory, with who he has an instant attraction. 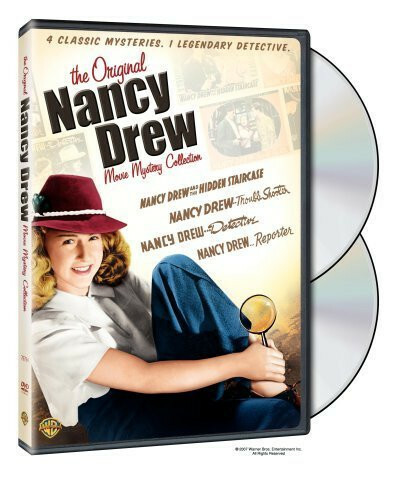 Nancy Drew doesn't much like this new woman in her father's life, a woman who she sees as competing for her father's attention. But Nancy's first order of business is to help her "Uncle Matt". Nancy's intimate knowledge of botany first causes Matt some problems as it leads to Henry's dead body being found. However, it is that same knowledge of botany that helps Nancy and Ted down the path to discover who actually killed Henry Clark. Regions are unavailable for this movie. Click the "Watch on Netflix" button to find out if Nancy Drew... Trouble Shooter is playing in your country.